Welcome to the unique and unparalleled experience of packrafting …….. a mix of hiking and paddling that takes you on a journey of discovery, exploring rugged landscapes by foot and “mild to wild” waters by raft. 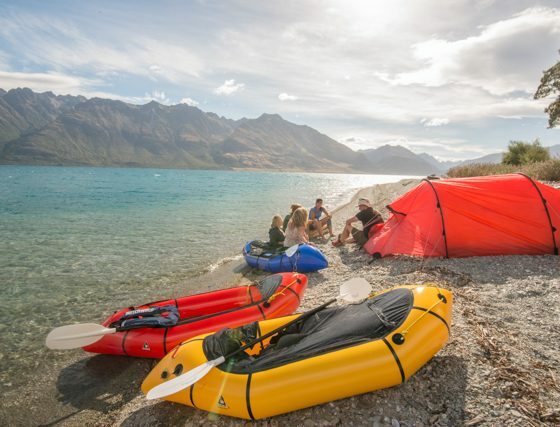 When it comes to outdoor adventure, we think you just can’t beat the mix of hiking, climbing, camping and paddling that these little one man rafts make possible. You get to experience the land in so many different ways, hiking through forests, up glacier carved valleys or over mountains; paddling across lakes, down rivers or in the ocean (sometimes even all in the same day); and camping in stunning wilderness locations that can be simply inaccessible by any other means. 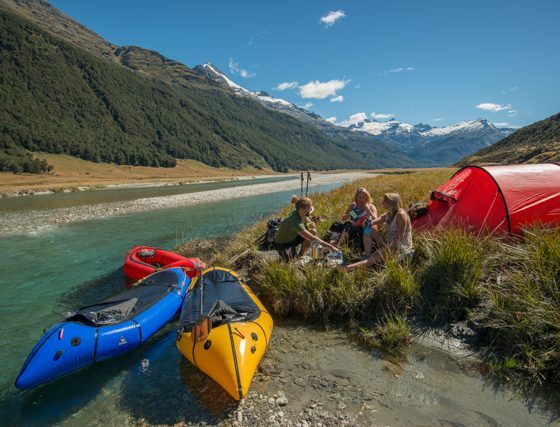 Pack rafting simply redefines outdoor adventure in New Zealand. 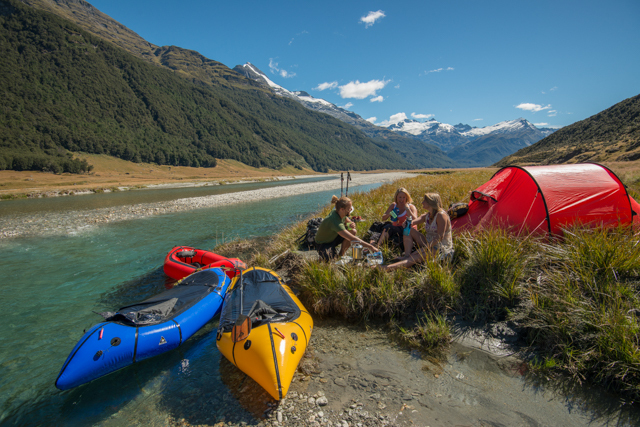 Our Waiau full day trip will give you the chance to “get to grips” with the innovative packrafts and see their full potential in some of New Zealand’s most stunning scenery, Fiordland National Park. 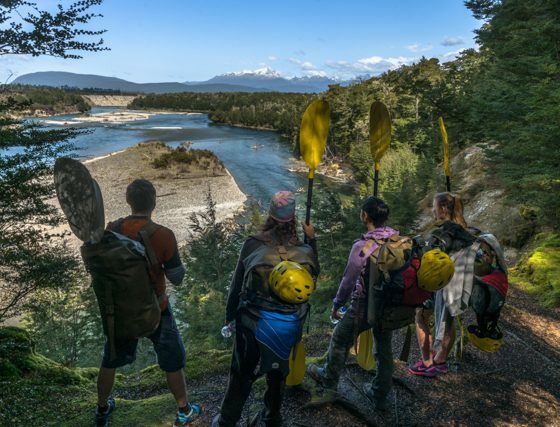 We will take you down the beautiful Waiau river near Te Anau practising some Packrafting & river skills. Get up close and personal with nature and experience the excitement and one-of-a-kind thrills of Packrafting. 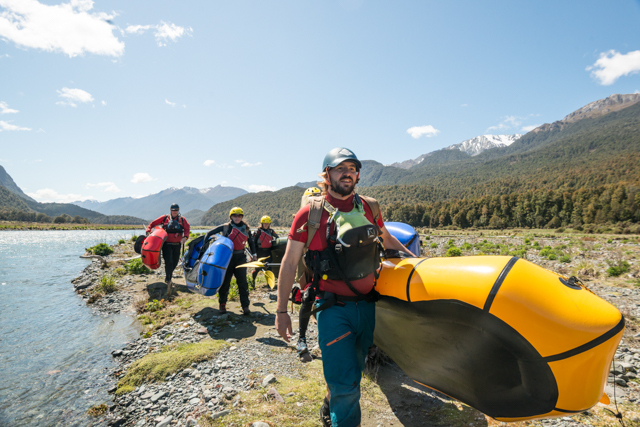 After stopping for a well deserved (and delicious) lunch somewhere on the river, we continue downstream (one word) until we reach Lake Manapouri, where we’ll take time to enjoy the beautiful beaches, stunning views of the Kepler Mountains, and soak in the surroundings before packing up. 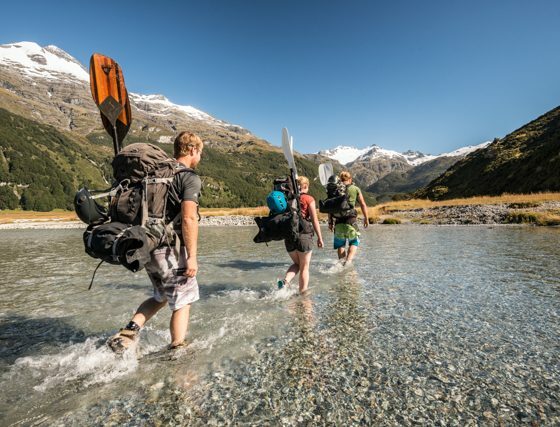 Finish the day with a walk along the world famous Kepler track (one of New Zealand’s “Great Walks”) as it wends it’s way along the edge of Fiordland National Park, one of the great wilderness areas of the southern hemisphere. 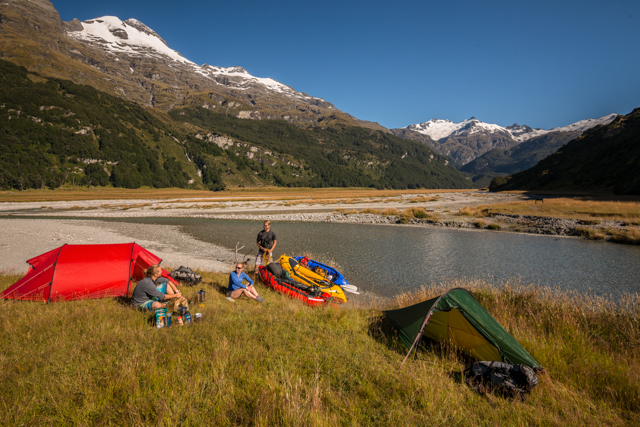 The River Rats combo will focus on mastering the innovative Packrafts in some of New Zealand’s most stunning scenery the Waiau River & Eglinton River. 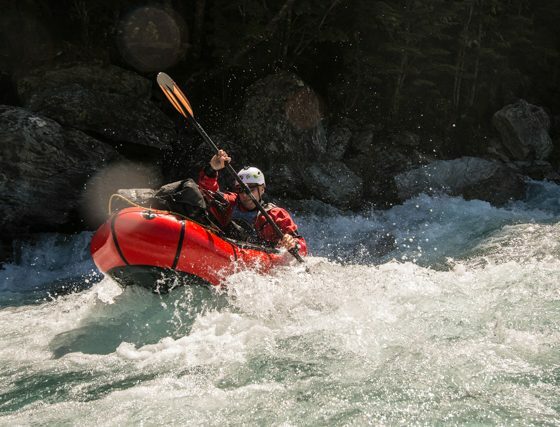 In the morning we will focus on practising Packrafting and river skills in preparation for the fantastic ride on the crystal clear Eglinton River and through the Eglinton Canyon. 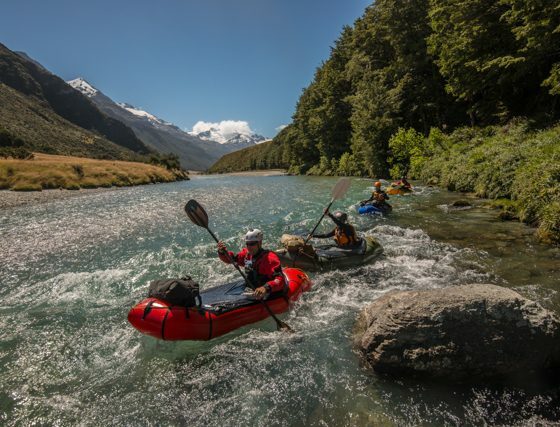 You will paddle 2 awesome rivers in one day & learn some new skills. We will spend the morning on the Waiau River learning all the skills you need to safely paddle the more challenging Eglinton River in the afternoon. 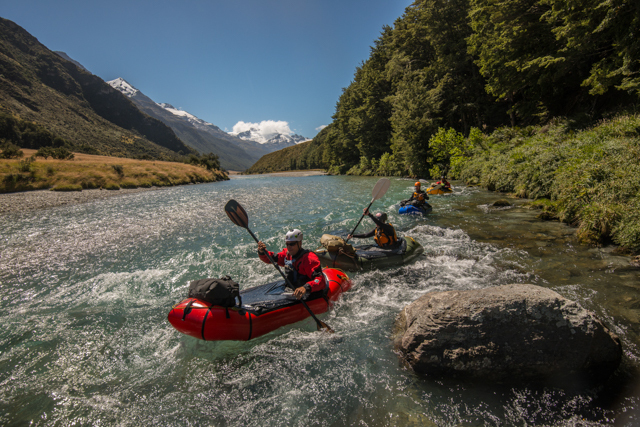 Navigating eddies and hunting some rapids we will make our way down the river to Rainbow Reach for a well deserved break. 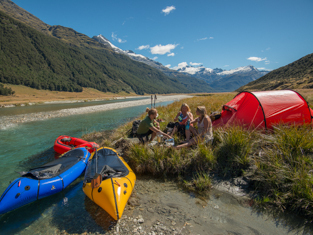 After a delicious lunch we will make our way up one of the most beautiful drives in New Zealand, if not in the world the “Milford Road” to our afternoon start location for the Eglinton River. 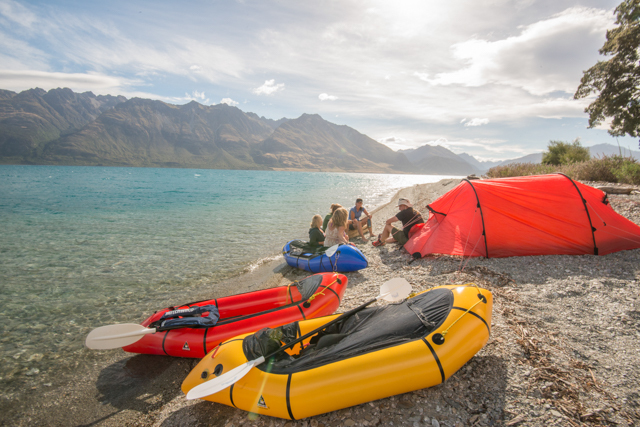 Getting our boats and gear ready for the second time feels a lot easier and we can focus a little more on our spectacular surroundings. 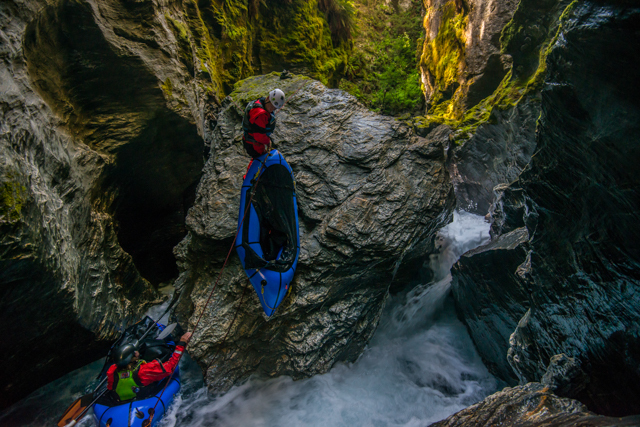 The paddle down the Eglinton River and through the beautiful canyon is something you will remember for a long time, so have your camera and GoPro ready. 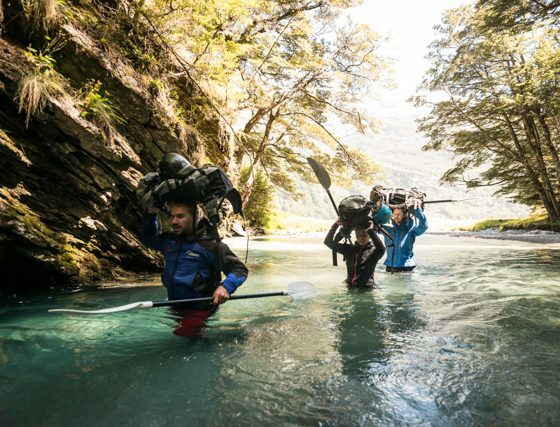 Welcome to the ‘real’ world of packrafting! 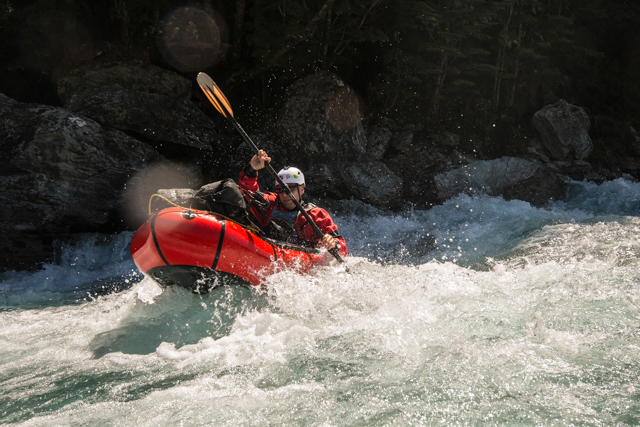 This standard 3 night trip will give you a first hand glimpse into what these boats make possible. 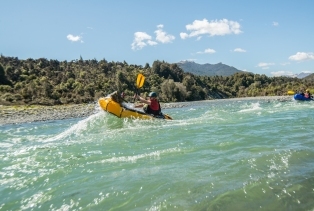 It is a one way journey from Te Anau to Manapouri and offers a great mix of both river and lake paddling. 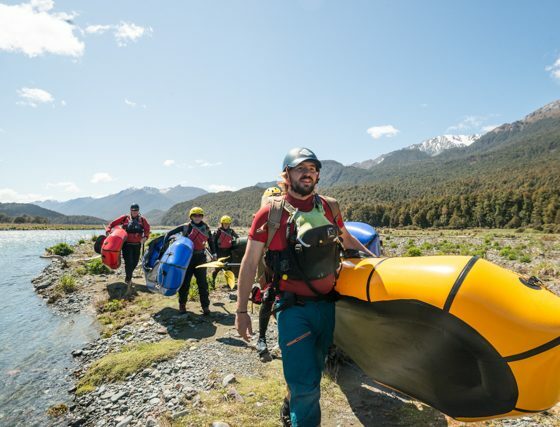 We’ll cruise down the Waiau river into lake Manapouri, paddling our way across the lake and its stunning islands for an ascent of the iconic Monument, staying each night either classic kiwi huts or making camp on pristine sandy beaches. 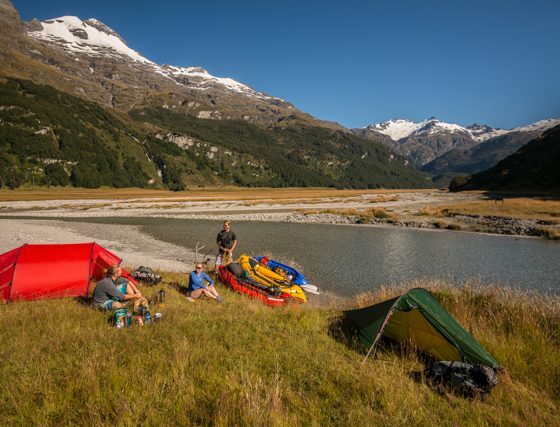 This trip is suitable for first time packrafters! 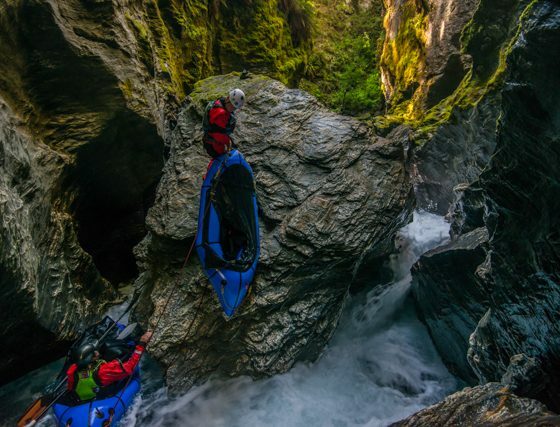 Note: Our biggest concern as packrafting guides is client safety. 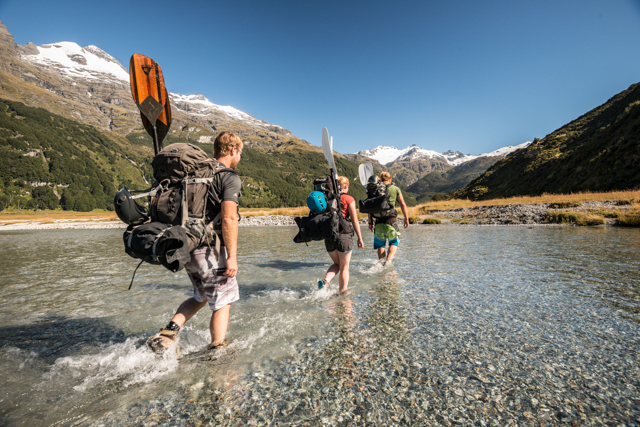 As part of this, we reserve the right to alter the itinerary if weather conditions and/or group ability warrants. 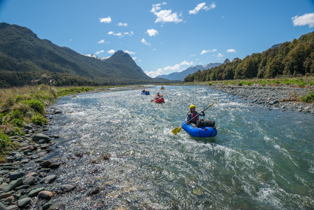 After coffee in town we’ll head to the start of the Waiau River, a few short minutes from Te Anau. 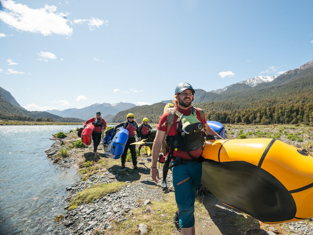 We’ll spend the morning learning about the boats and doing some training in the calmer upper sections of the Waiau to make sure everyone is comfortable in the packrafts. 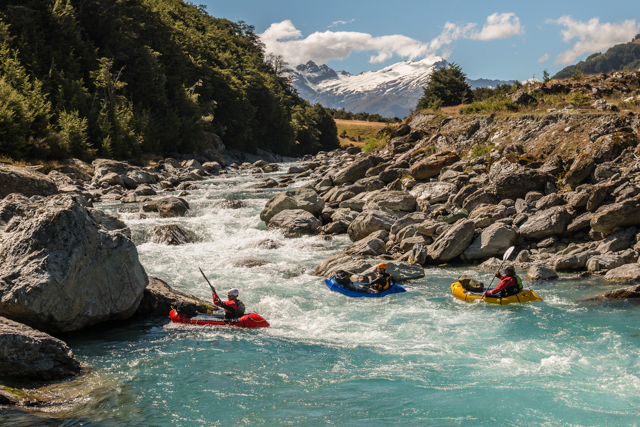 We’ll have lunch on the river and run several easy but fun rapids as we make our way to the secluded shallow bay where we’ll either camp or stay in the quaint hut of the same name. 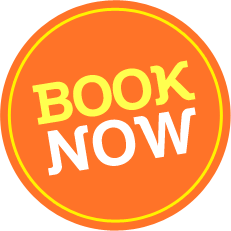 Beach combing, bonfires, and swimming are all evening possibilities! Across the lake! 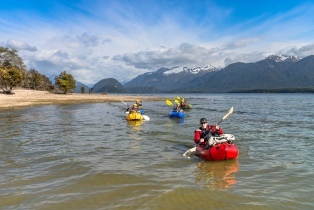 We’ll mix walking and paddling today as we make our way from one side of the lake to the other, exploring islands and isthmuses and white sand beaches as we go. You’ll get a good chance to see what the boats are all about today as we’ll be utilizing them fully, with several transitions between water and land. 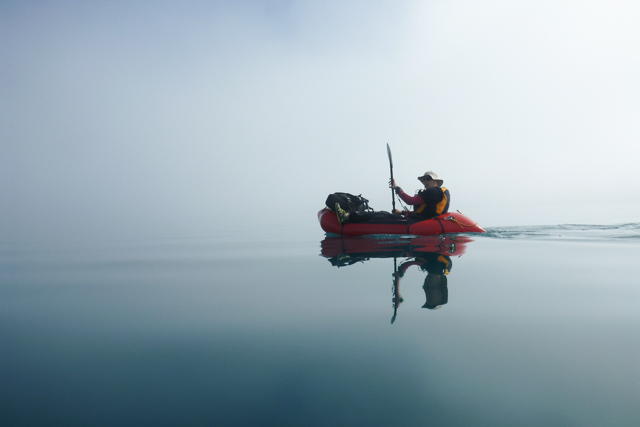 Our goal by the afternoon is the Monument, an iconic pinnacle thrusting up out of the lake. 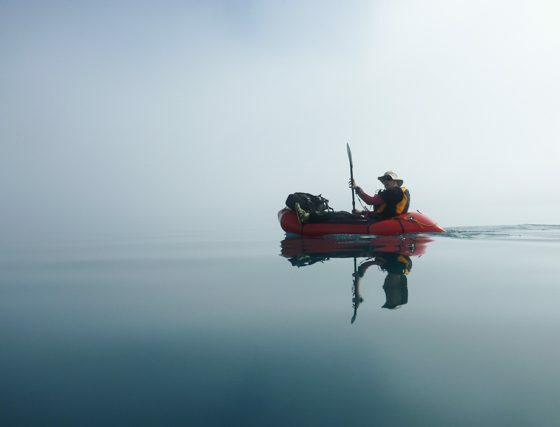 For those keen enough (and without a fear of heights) we’ll take a trip to the top to marvel in the view, before finishing the day with a short paddle to Hope Arm and another hut or beach campsite. 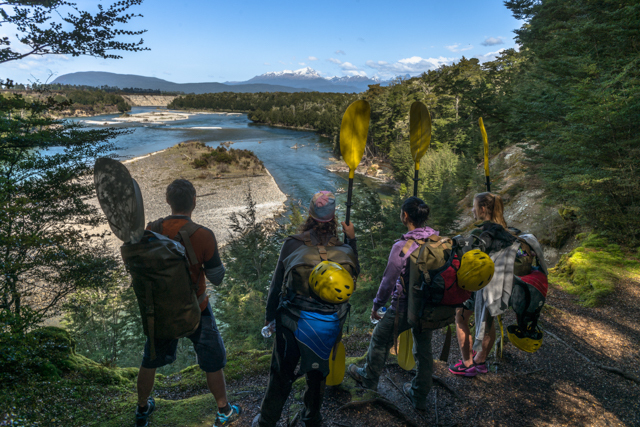 Day three involves a gorgeous forest walk along classic kiwi trails back towards Manapouri where we’ll pull out the packrafts one more time for a final crossing of the the river.